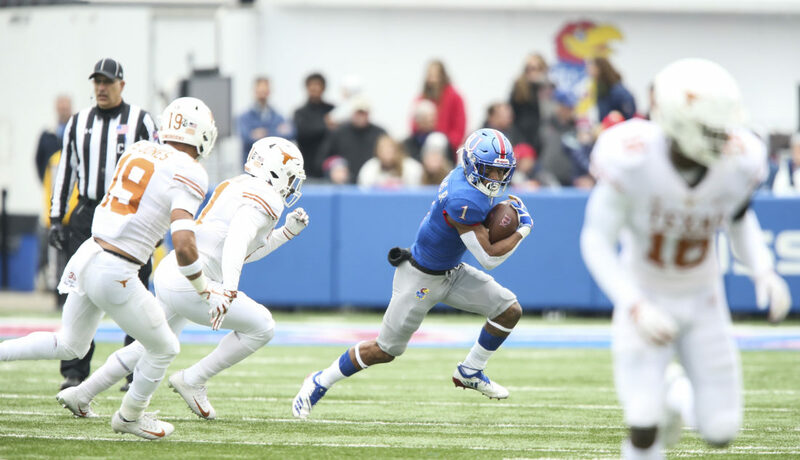 Kansas running back Pooka Williams Jr. (1) takes off on a run during the first quarter on Friday, Nov. 23, 2018 at Memorial Stadium. 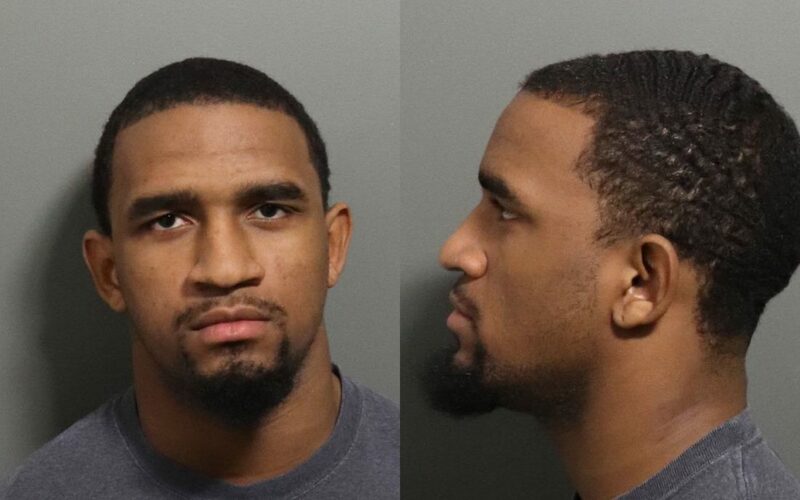 University of Kansas star football player Pooka Williams has been arrested and charged with domestic battery following an incident at a KU dorm this week. 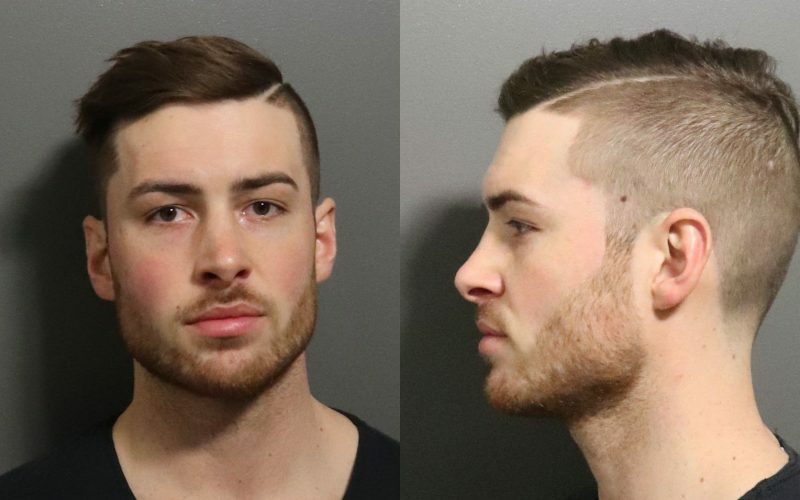 KU police arrested Williams — whose full name is Anthony Ray Williams — at the KU Public Safety Office, 1501 Crestline Drive, and he was booked into jail at 3 p.m. Thursday, according to the Douglas County Jail’s online booking log. 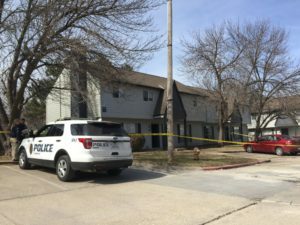 KU police provided the following details about the incident in a news release Friday: An 18-year-old female student on Thursday reported that early Wednesday morning she was in a physical altercation with a 19-year-old male student in Stouffer Place Apartments, 1835 Ousdahl Road. On the booking log, Williams’ address is listed as Stouffer Place Apartments. On the publicly available portion of the police report, the woman is listed as also living on campus, but not in Stouffer Place Apartments. The woman reported minor injuries, which did not require medical attention, according to the news release. The police report listed the type of weapon used as a “personal weapon,” which indicates bodily force and not a separate weapon. After the incident was reported Thursday, Williams was interviewed and subsequently arrested, police said. Williams spent the night in jail and made his first court appearance Friday afternoon in Douglas County District Court. He was formally charged with domestic battery, a misdemeanor. 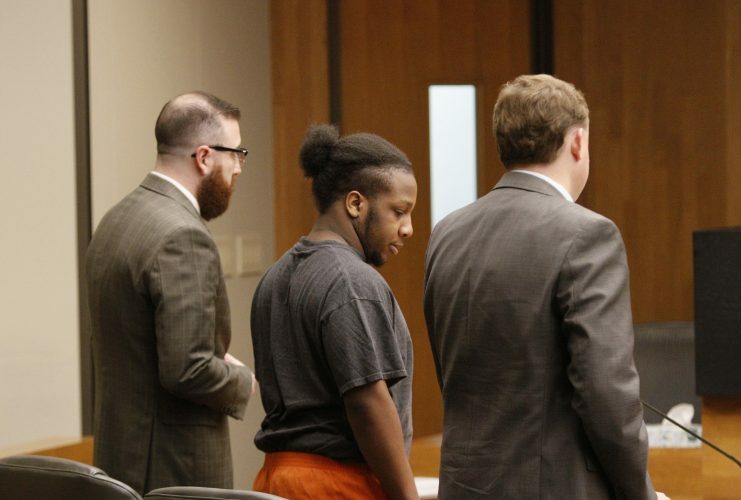 His attorney, Hatem B. Chahine, entered a not guilty plea on Williams’ behalf. A prosecutor said Williams did not have prior criminal history. Judge James T. George set a $1,000 bond for Williams and ordered him to not make contact with the victim or return to her residence. George scheduled Williams’ next appearance for 9 a.m. Jan. 9. KU football coach Les Miles said Friday morning that he was aware of a reported incident involving Williams. Editor’s note: This story has been edited to correct a time that had been misstated by police in their arrest affidavit. The incident at Stouffer Place Apartments occured at 12:30 a.m. Dec. 5, 2018, according to Cheryl Wright Kunard, assistant to Douglas County District Attorney Charles Branson.